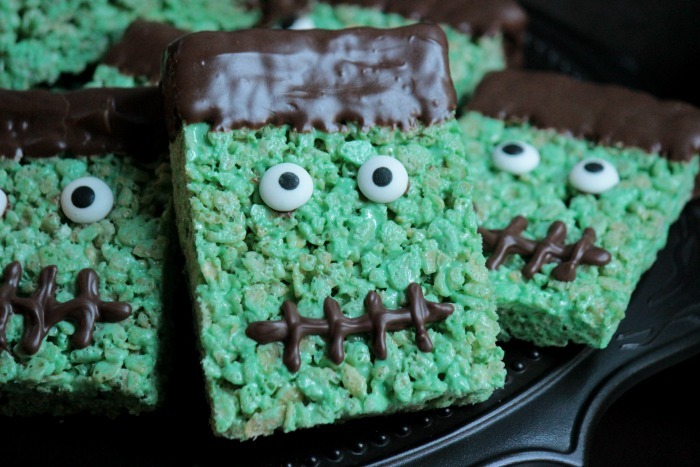 Need an easy Halloween dessert? 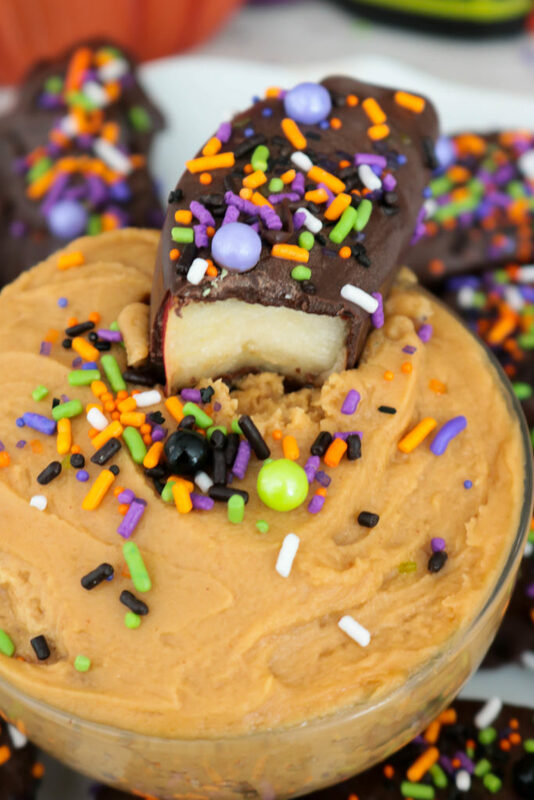 You need these Halloween Apple Slices and Peanut Butter Dip! 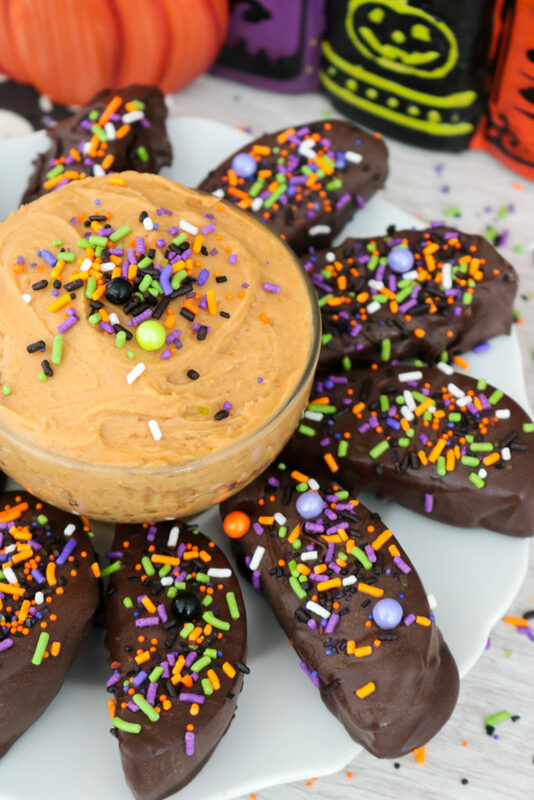 These chocolate dipped apples are dressed up with some fun Monster Mash sprinkles and join the party with a tasty peanut butter dip! 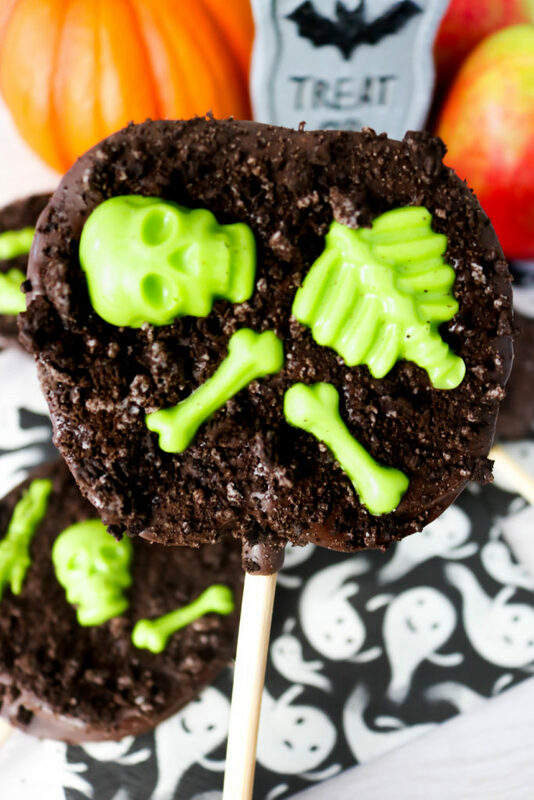 I’m the middle of planning our Halloween dinner menu and I have so many great ideas that I’m not sure if I’m going to have enough time or energy to make them all. 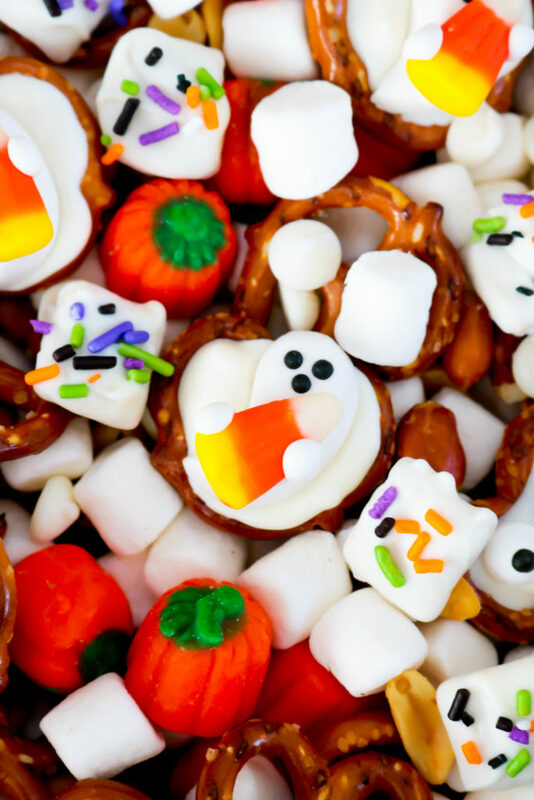 One little sweet treat that might very well end up on the table at the party/dinner? 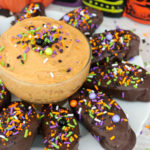 These Halloween Apple Slices and Peanut Butter Dip! 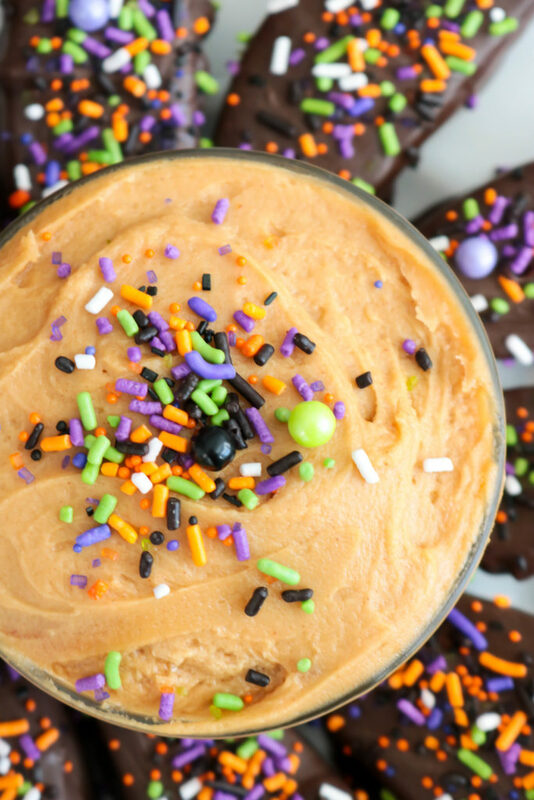 Super easy is the way to go sometimes and these Halloween apples couldn’t be easier to make! 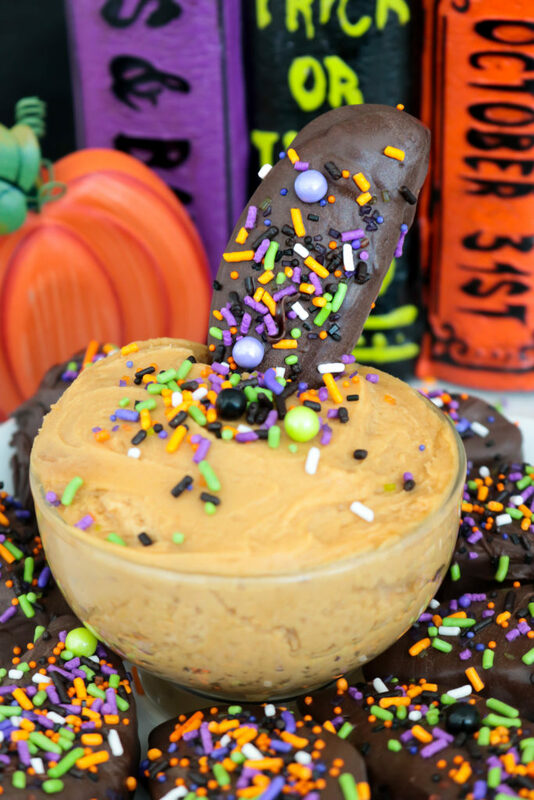 Plus the peanut butter dip that I serve them with comes to together in a snap. 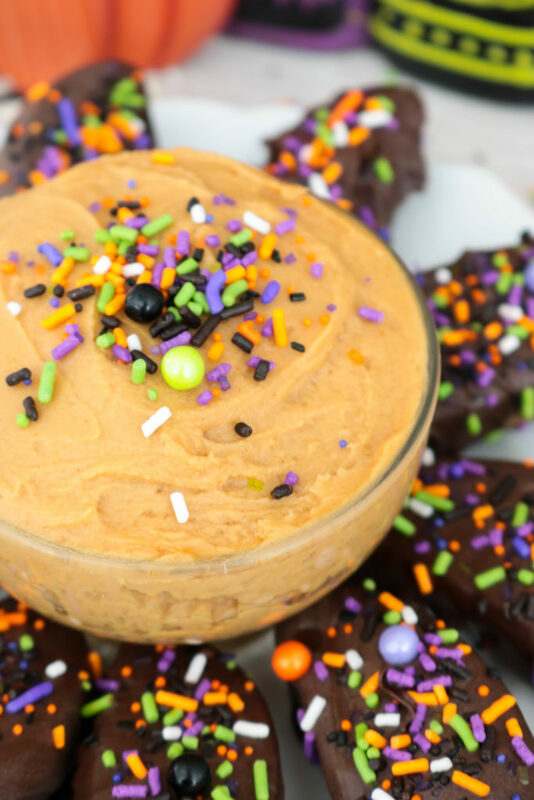 This Halloween Apple Slices and Peanut Butter Dip dessert or appetizer is great to set out at the beginning of a Halloween dinner party for guest to nibble on or it would work perfectly as the sweet treat to close out the evening. Also, can I just tell you how much I’m in love with this Monster Mash sprinkle mix from Sweets and Treats Shop! They sent me these cute sprinkles a while back when I was working on #HalloweenTreatsWeek and I want to use them for everything! 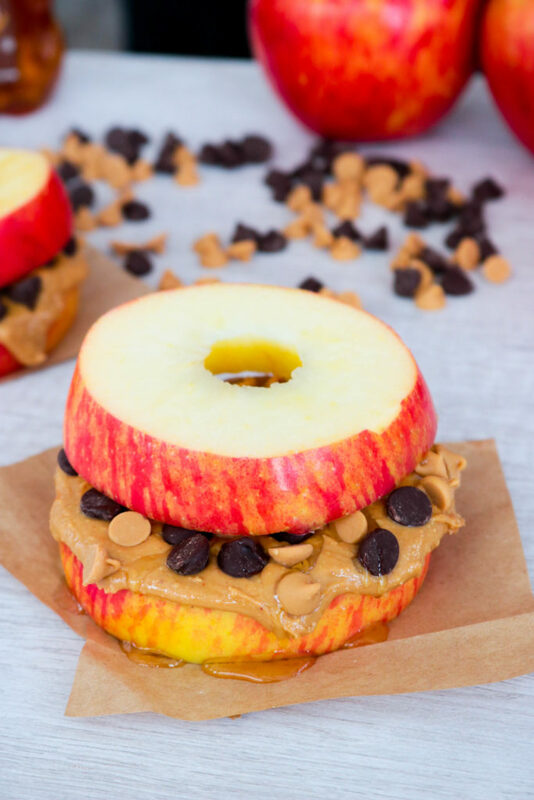 I just knew that they would be perfect for these apples and the peanut butter dip. And just so you know, you can totally make these apples like a day in advance and they’ll be perfect. The dip should probably be made the day you’re going to serve it but it’s so simple to whip up that I don’t think you’ll mind. Slice apples into thick wedges. Dip apples into chocolate and tap off excess. 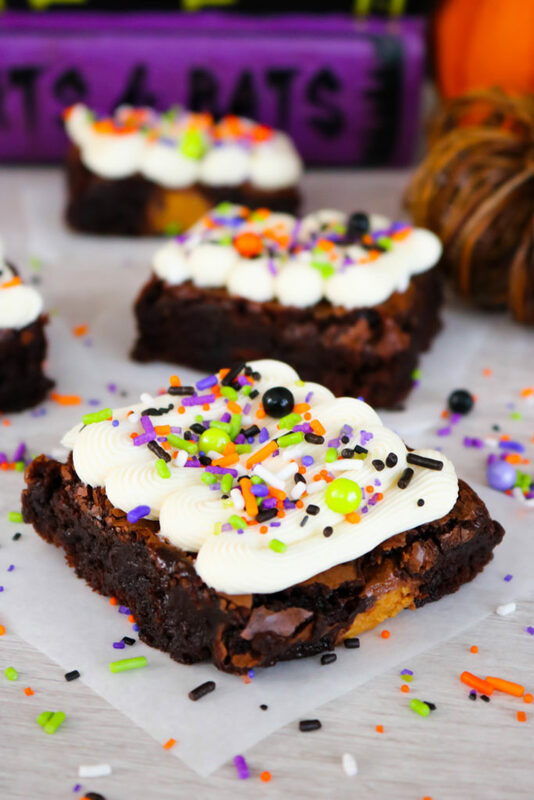 Lay on a flat surface and sprinkle each apple slice with Halloween sprinkles before chocolate hardens. In a medium bowl, mix together the peanut butter, yogurt and honey. I know it’s a pain to buy ingredients for a recipe and then not have a reason to use the rest of the jar of peanut butter or bag of sprinkles. Here are some more recipes that use some of these ingredients too.